Biologist Equates Plastics in Environment to DDT Contamination – Neptune 911! A prominent Canadian marine biologist has warned of a second “silent spring” — this time in the world’s oceans — due to the vast amount of plastic that has entered marine ecosystems in the last half-century. 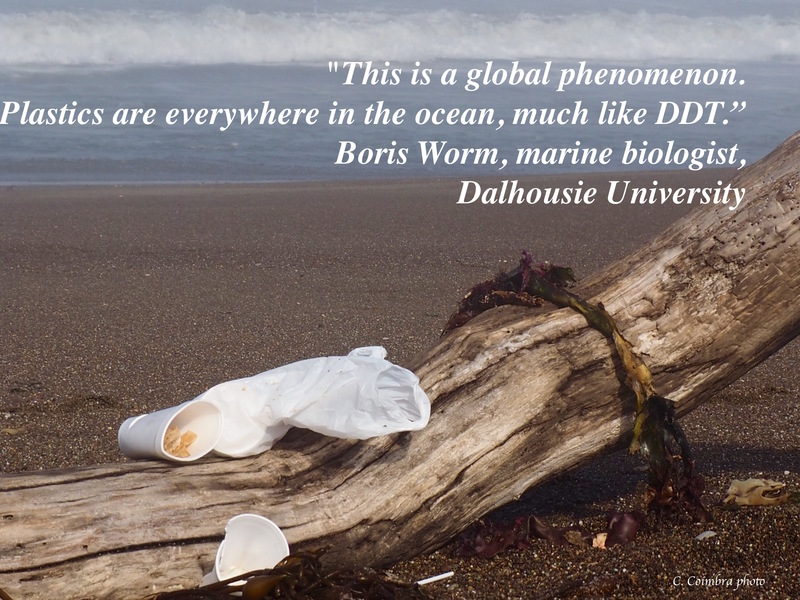 Now, more than 50 years later, Boris Worm, a marine biologist at Dalhousie University, thinks there are many analogies between the DDT crisis of the 1960s and today’s widespread contamination of the oceans with plastic. Perhaps best known are the ocean gyres — areas where large amounts of floating plastic have accumulated in easily visible “garbage patches.” Of perhaps even more concern is research that has revealed less visible, but pervasive contamination by “microplastic” — tiny particles perhaps a millimetre in size or smaller. These are fragmented pieces of many different forms of plastic that have been found in beach sand in the most remote parts of the world, in sediments in the deep ocean and frozen into arctic ice. Worm’s concern is that we’re now starting to see evidence of serious impacts of this plastic contamination on marine life. His warning was motivated by a new study suggesting that currently 90 per cent of seabirds — including albatrosses, petrels and penguins — are now contaminated with plastic. Of particular concern are plankton, the base of the marine food chain, and animals that comb food directly out of the water like shellfish, which could absorb contaminated microplastic and accumulate toxins. At the moment, though, Worm says the risks here aren’t well understood. “Like DDT, this problem isn’t going away by itself — these are persistent pollutants that stay around for centuries.